Bill and Hillary Clinton earned roughly $30 million since January 2014, mostly from giving speeches on the lecture circuit to corporations, banks and other organizations, according to disclosures filed with federal elections officials. While Hillary Clinton recently announced her run for president in 2016, Bill Clinton has given three speeches this week for the American Institute of Architects, Univision Management and Apollo Management Holdings, the New York Times reported. Currently, the average fee for the former president is $250,000, whereas records show Hillary Clinton earns $235,000 on average. The documents show that of the $30 million earned over the last 16 months, some $25 million have been from speaking fees. The Clintons left the White House in 2001 and have earned $125 million on the speaking circuit since. The report also shows that Hillary Clinton made more than $5 million from her memoir, ‘Hard Choices,’ which detailed her experiences as secretary of state under President Obama. Hillary’s last filing showed she had $16 million in income by the time she left the Obama administration, most of which came from 70 honorariums for President Clinton. The largest fee he collected from an honorarium was $500,000 from EAT Stockholm Food Forum in Sweden. The forms don't show what taxes they, paid but a campaign official told NYT it was about 30 percent. 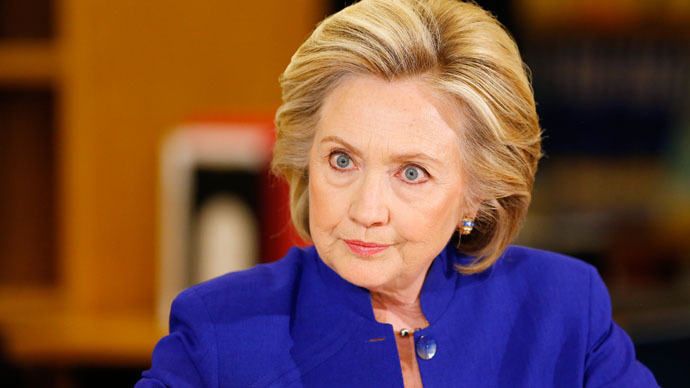 The earnings make Hillary Clinton the wealthiest presidential candidate for 2016.